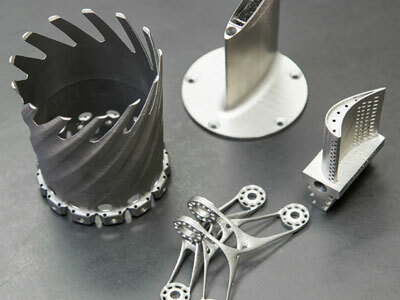 With additive manufacturing (AM) as an established part of many companies’ product development and manufacturing processes, there has been a greater understanding of the technology’s technical and business advantages. With that, more users are benefitting from lighter and more durable parts, increased design freedom and on-demand part production. But that’s just scratching the surface of AM’s potential. There’s still room for companies to maximize the technology across their entire operations, from the supply chain and production processes to potential new markets and internal expertise. In a hypercompetitive industry like manufacturing, it’s important to leverage all the tools at your disposal. 1. Parts built for the process, not functionality. With traditional manufacturing, companies typically design parts with manufacturability in mind rather than maximizing the part’s intended function. AM solves that disconnect because the technology’s build process inherently allows tough features (e.g. undercuts, conformal channels) to easily be included into designs. 2. Failing to use AM throughout the product development cycle. To stay current, companies must recognize AM is for more than just prototyping. Used for everything from architectural modeling to medical production parts, 3D printing has solutions that can be utilized across the entire product development cycle. 3. Serving a narrow range of applications. This follows from the previous step. If companies don’t use AM to build parts from prototyping to production, then they may not fully understand what applications they can serve. Of course, what applications companies use 3D printing for depends on what industry, or industries, they operate in, so it may not always be necessary to widen their scope. But for those with multiple needs (e.g. manufacturing aids, prototyping and production parts), it’s prudent to determine whether AM can benefit those areas as well. 4. Not combining AM with traditional manufacturing. Just because it can be printed doesn’t mean it always should. Advanced users achieve the best of both worlds by using AM in tandem with traditional manufacturing. Additive is a perfect solution for tooling validation, bridge production, jigs and fixtures, or low to mid-volume manufacturing. Companies can also reduce production costs and lead times by using 3D printing in various stages of the production process. Companies that realize AM’s full potential typically have at least one empowered champion who promotes its technical and business benefits within the organization. They help institute strategic initiatives that actively evaluate how to further establish AM into the company’s processes and fully leverage its benefits. So how can companies better integrate 3D printing into their manufacturing processes? It starts with education. Businesses must understand the various technologies and the reasons to use each of them. Companies also need to assess their infrastructure. Does your team have the equipment, designers and/or engineers to support 3D printing? For those lacking the internal knowledge and/or technical capabilities to do this, a service provider can serve as an educational partner. It’s also worth evaluating whether having in-house expertise and equipment makes sense. If your business won’t use the technology enough to maximize the capital expense, it may be more practical to outsource that work. Finally, advanced users of 3D printing are able to articulate its benefits to a wide array of audiences, from engineers to the C-suite. Understand that both technical and business (i.e. financial) cases for 3D printing must be made. An internal champion dedicated to the cause can be a point person for this.